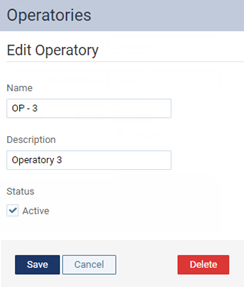 You can delete any of a location's operatories that do not have any appointments and events scheduled in them. 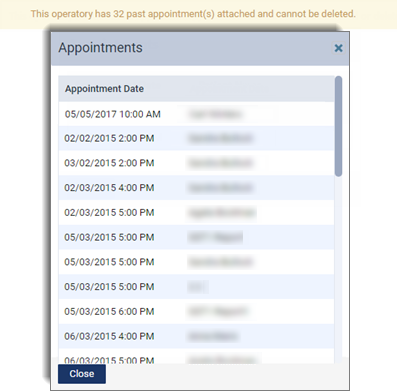 Tip: You cannot delete an operatory that has past and/or future appointments and/or events scheduled in it. If this operatory has appointments and/or events scheduled in it, a message in a yellow box appears. To view a list of those appointments and/or events, click (or tap) the yellow box. Click (or tap) Delete. This button is available only if there are no appointments and/or events scheduled in this operatory.